There is the reverse world among the ground and the sky over the small hole. At the this side, the above is the sky, the below is the ground, it is scattered world. At that side, the above is the blue of the water surface, the below is under the ground, it is the closed world. 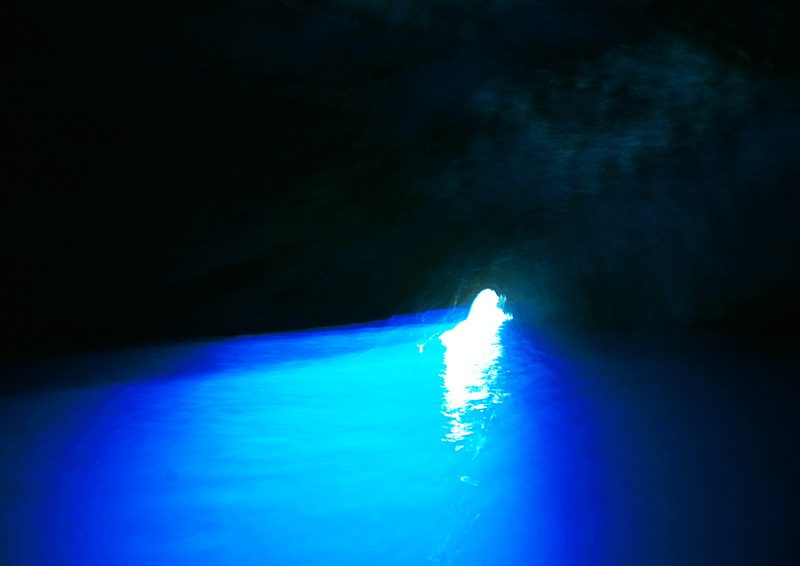 The blue of the water surface is the waving illuminated surface. I am surprised at the unreal situation which I have never seen in normal life. In the cave, the sound is reflected many times, I lost the sense of the direction. There is the strong power of natural timeless beauty of the light and water.